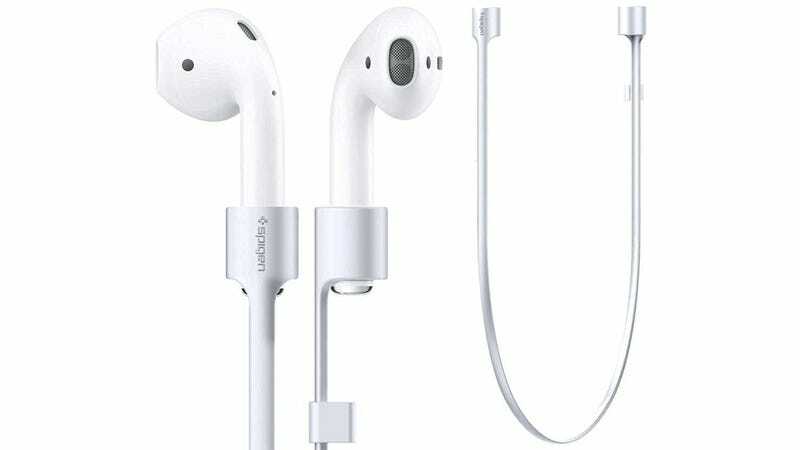 Spigen’s AirPods Strap reminds us of a similar solution that popped up for pre-order last week: the AirPod Strap. They’re easy to confuse, being only distinguished by an extra letter ‘s’ and by price. The AirPod Strap will set you back $20 when available, while the Spigen AirPods Strap will be just $10 when it arrives in late October. They both work exactly the same way, as will the hundreds of follow-up AirPods accessories that will surely be announced in the coming weeks. But these are the first out the gate. Who cares if you can’t even buy the AirPods yet.